This is our signature fundraising event for the year, and you won’t want to miss it! 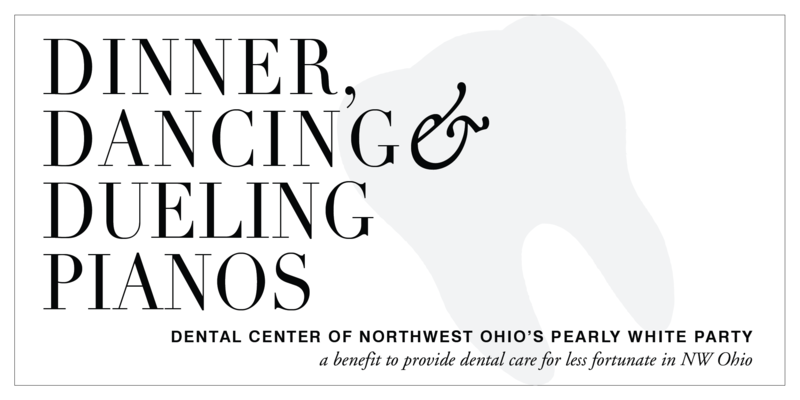 Funds raised at the event will help us continue providing affordable oral health care to the tens of thousands of underserved adults and children in Northwest Ohio who aren’t otherwise able to afford it. Cocktail hour (cash bar) will begin at 6:30 pm and dinner will be served at 7:30. Dueling piano entertainment will be provided by Cruisin’ Keys out of Nashville. We’ll also feature a live auction, silent auction and a wine raffle. Sponsorship opportunities are available, and we’re also accepting donations for the auctions and raffle. For details, call 419-241-1644.